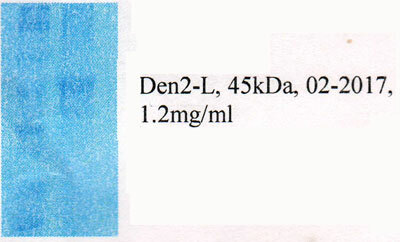 >95% pure 12% PAGE (Coomassie). Proprietary chromatographic technique. >95% pure 12% PAGE (Coomassie stainning). Protprietary chromatograpic technique. 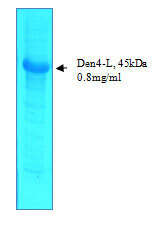 Tissue culture supernatant was purified by chromatography and then dialyzed against the buffer below. 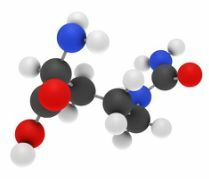 Suitable for use in ELISA. Each laboratory should determine an optimum workig titer for use in its particular application. 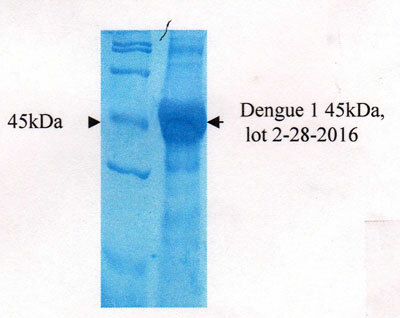 >85% pure (12% SDS-PAGE, Coomassie staining)Purified by proprietary chromatographic technique. 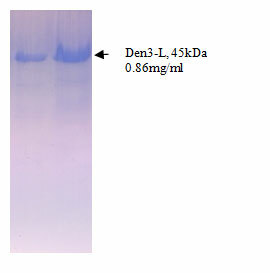 Suitable for use in ELISA and Lateral Flow. Each laboratory should determine an optimum working titer for use in its particular application. Suitable for use in ELISA and Lateral Flow. Each laboratory should determine and optimum working titer for use in its particular application.